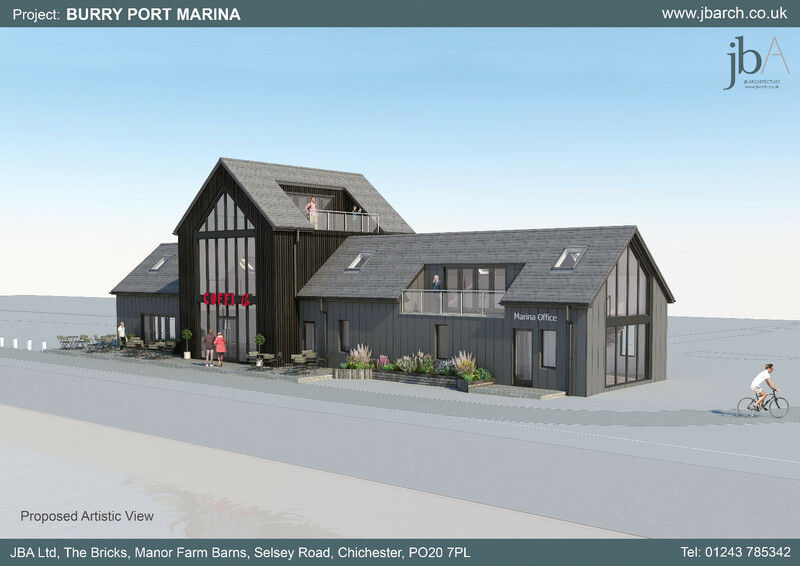 We have been working on a new Marina Office and Coffee shop since last year and we have just done some renders for the client to show them the design. Part of the building already exists and is an old life boat station, this will be re-clad and re-designed inside, the central part which is the Coffee shop is a new build extension. We hope to go to Planning soon, - Jim, I might need your advice dealing with the Welsh Planners! PAC - Pre-application consultation, a 4 week pre-planning phase where you have to make the proposals available to the public and all interested parties including specialist consulates like NRW, the Coal Authority, Welsh Water etc. In effect you have to publish all your planning information online and make paper copies available to the public, and put up site notices. It's a pain, and of questionable benefit... The principle is that it should overcome the pesky objections stage which causes delay. In practice, difficult and obstructive people/organisations have two opportunities and twice as much time to try to interfere. TAN - Technical Advice Note, our equivalent of PPGs. They are all online here. SUDS - Sustainable Urban Drainage Systems - this is now mandatory here. However it will depend on whether it can be demonstrated that the site is suitable. Feel free to mail me for any more info. Thanks a lot for all that info, that is really very useful! I am going to discuss it all with one of the other Directors and I am sure I will have some more questions so I will email you directly. With all that list of acronyms, I was thinking it was a joke Bigstick, but it only shows the well-executed planning of a permit process, anyone can make a cute building but going through all the process for permitting and bureacry that's other story, send more renders for the development if available Nat.